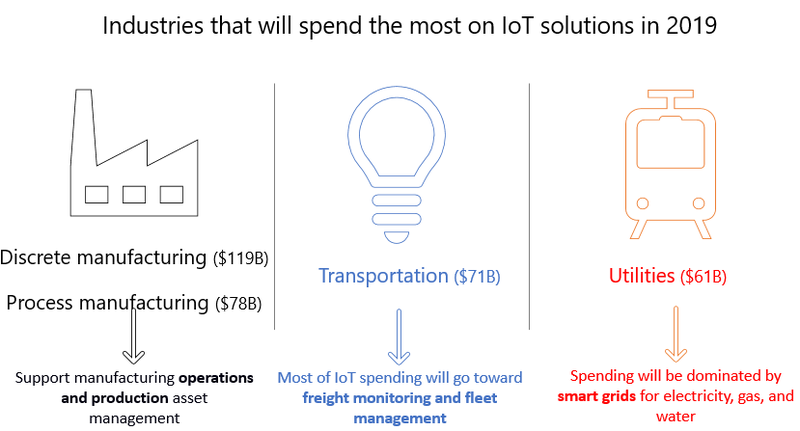 IoT Worldwide Spending: What’s happening in 2019? 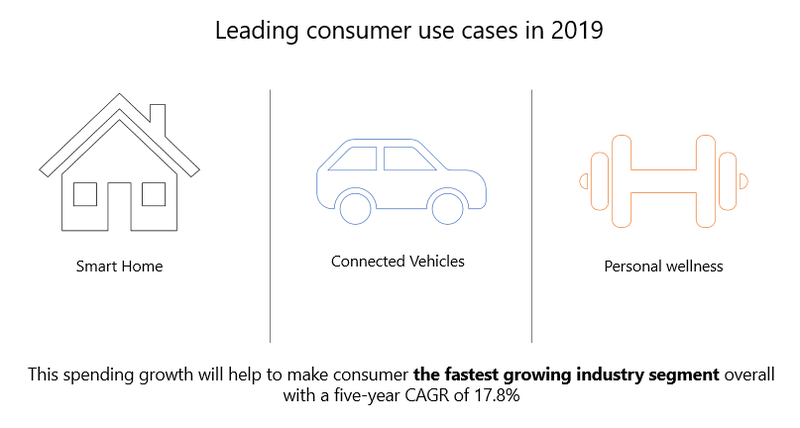 Spending on IoT is expected to reach $745 billion in 2019, with an increase of 15.4% over the $646 billion spent in 2018. IoT spending will maintain a double-digit annual growth rate throughout the 2017-2022 forecast period and surpass the $1 trillion mark in 2022. $119 billion, followed by process manufacturing ($78 billion), transportation ($71 billion), and utilities ($61 billion).